Where’s the best state in the US for women to work? Just in time for open enrollment. Make the most of your coverage with our video – Essential Health Insurance Info for Women – featuring Ann Asbaty, SVP of Cigna. 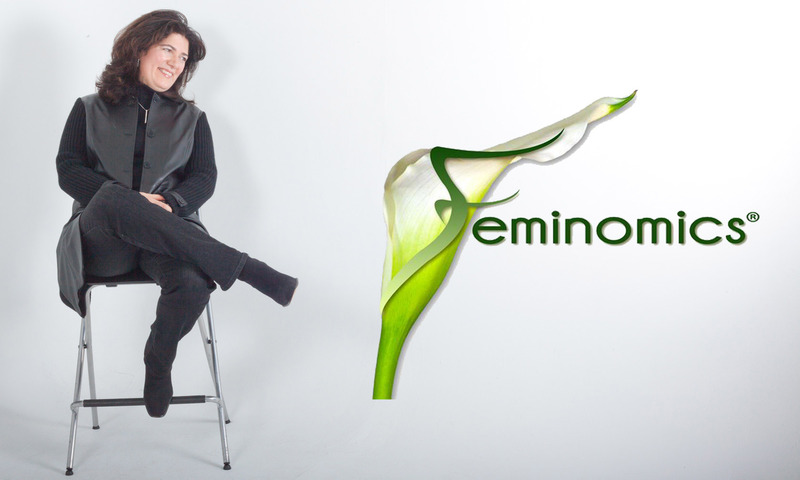 Feminomics teamed up with About.com for a series of videos on money basics. With over 30 topics from setting money goals and budgeting, whether to rent or buy, insurance, or reducing debt or money fights, help is just a few clicks away! 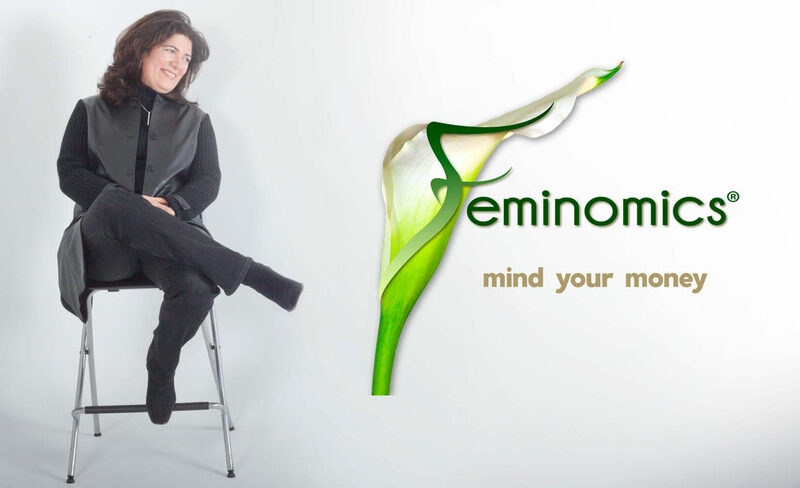 Check out our Feminomics Money Minute segment for simple tools to help you set and KEEP to your goals this year. The most common resolutions relate to health and money, and making positive changes involve the same principles. CLICK HERE for more. Social psychologist Amy Cuddy’s research has revealed that body language can not only influence how others view us, but also how we see ourselves. It impacts outcomes in work, love, and can have a significant influence on our lives. Unfortunately, women often project weakness in our non-verbal cues, reflecting the power gap many of us experience in our lives. A TED talk Amy gave demonstrated some simple techniques we can do for two minutes (which she calls “power posing”), that actually help to increase confidence and reduce stress hormones. She says to try them before your next interview or presentation, encouraging us to ‘fake it till we make it’. That’s exactly what Ms. Cuddy did. It turns out Amy came back from a traumatic head injury to finish college — something she was told she would not be able to do. 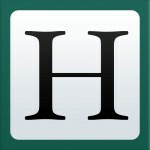 Today she’s a noted researcher and professor at the Harvard Business School. Her video on the subject was one of the most popular TED talks ever. The photo shows Amy in what she calls the “Wonder Woman” pose. Take a coffee break and watch her video HERE. Hey, it’s a pretty common New Year’s Resolution to say we’ll save more this year, but the question is where to start? 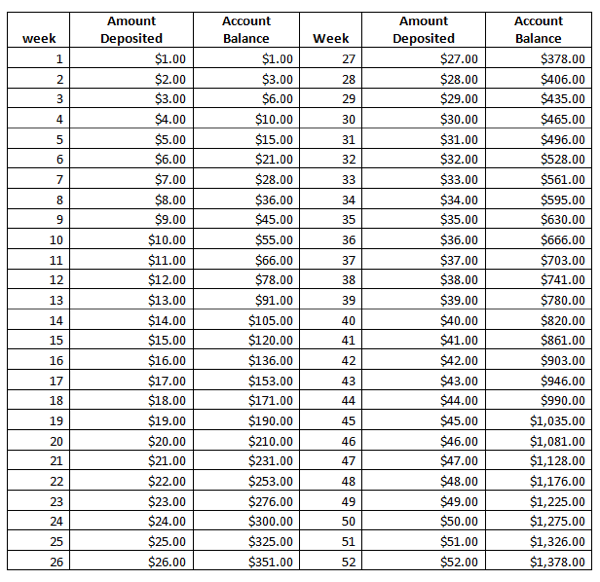 Consider the 52 Week Money Challenge, which is all the rage this year. It’s a simple rule that eases you into the habit of saving — open an account and put in $1 the first week, $2 the second week, and so on. The chart below outlines what you do week by week — it adds up nearly $1,400 by year-end. Bear in mind that the last months are the hardest — you’ll need $200 for the final month. IF you naturally rebel against this kind of forced discipline, one blogger suggests you print out the chart, cross off a number every week, saving more when you have a bit extra cash, which will free you save smaller amounts during tight periods so you don’t get discouraged. Even if you miss a few weeks, chances are you’ll put aside at least $1000 this year. Go for it!! Resolve to be part of the ‘New Girls Club’ in 2014! Following up on the very successful Women Owned Business Breakfast last fall, join female business owners and professionals at an informal after-hours networking event on Thursday evening, February 6, 2014 in Piermont, NY. Admission is free (cash bar), light refreshments will be served. During the event, an exciting announcement will be made revealing the developments for a new alliance of female professionals and women business owners. Thanks to M&T Bank for sponsoring this event, with support from WEDC (Women’s Enterprise Development Center). More info coming soon. 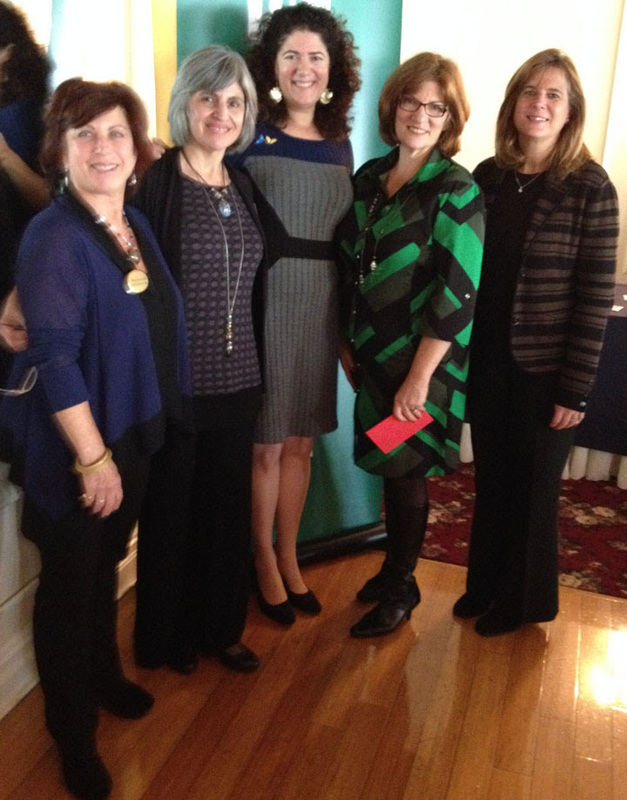 Left to right: Sheryl Santi Luks, Maria Whittingham, Lisa Kaess, Ann Byne, and Marilyn Hausner participated in the Women’s Business Breakfast sponsored by M&T with support from WEDC (Women’s Enterprise Development Center), November 2013.